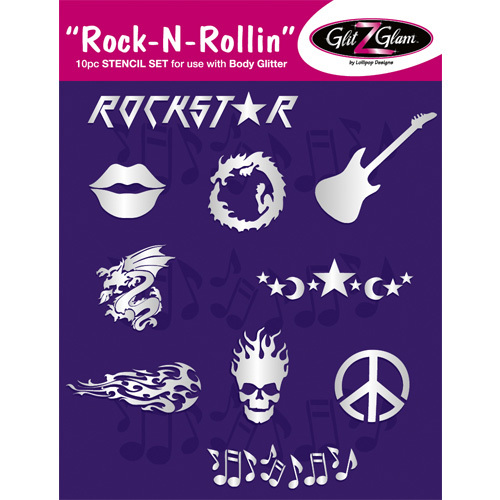 Glitter tattoo kit “GirlZ Night Out” includes a collection of stylish & intricate designs (tattoo stencils) that combine art with elegance and sheik for a mega glitz & glam. 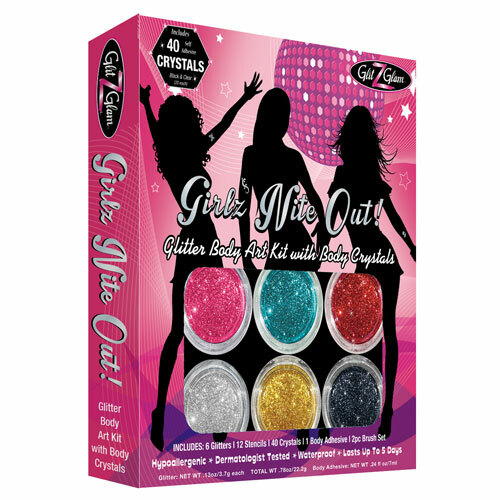 With added rhinestones this kit is a unique combination of glitter and jewels to create beautiful designs! 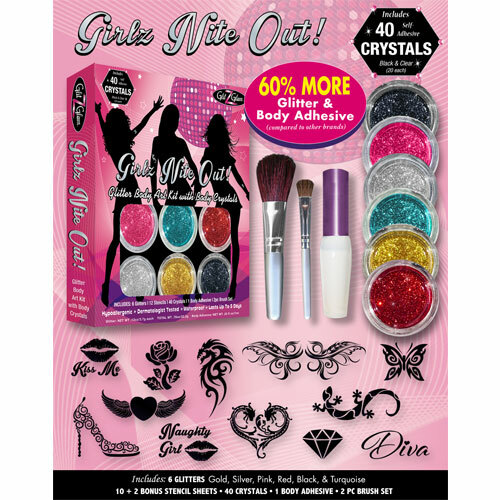 “GirlZ Night Out” large glitter tattoo kit includes everything you need to create beautiful temporary tattoos for a girls’ night out! 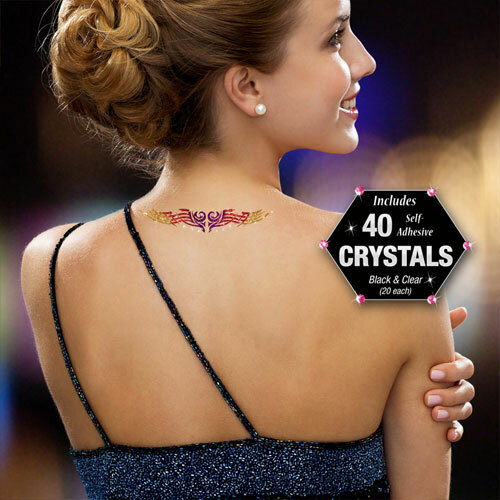 Keep it on for up to 5 days or wash it off after the party is over..
6 extra-large glitter colors: Pink, red, silver, gold, turquoise and black PLUS 12 carefully selected temporary tattoos designed to make you look & feel special, beautiful and stylish. HRIPT & CPSIA (Consumer Product Safety Improvement Act) certified – in other words: very safe to use! 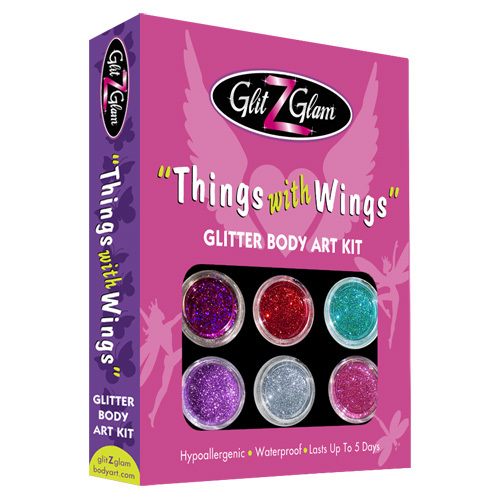 This glitter tattoo kit that has everything you need to create amazing glitter body art in less than a minute and the results last for up to 5 days (but can be easily removed with any oil-based lotion.) Hypoallergenic, safe for the skin and even shower & pool – proof. 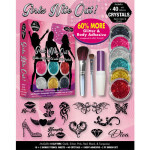 Includes: 6 large cosmetic-grade glitters, 12 tattoo designs, 2 cosmetic brushes and 1 specially formulated, hypoallergenic body adhesive. 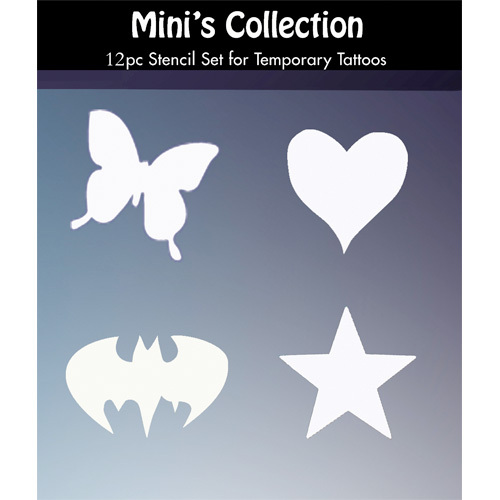 Some of the tattoo designs in this kit are intricate so please apply with care as you gently peel the top protective layer while holding the stencil onto the skin. Also use care when peeling the stencil from the skin after the glitter application. 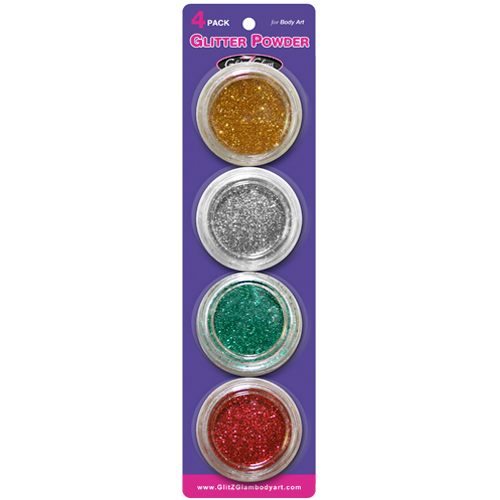 The GlitZGlam glitter tattoo kit is a “do it yourself” product, no-mess application that is so easy to do and no artistic skills are required. The results are simply professional-looking body art. The body art will last up to 5 days but can be easily removed with any oil-base lotion. You may wash the skin as you normally would but avoid scrubbing the tattoo to prolong its life. If you wish to remove it – simply apply baby oil or any oil-base lotion and soak for few minutes. Then gently scrub and remove the glitter.